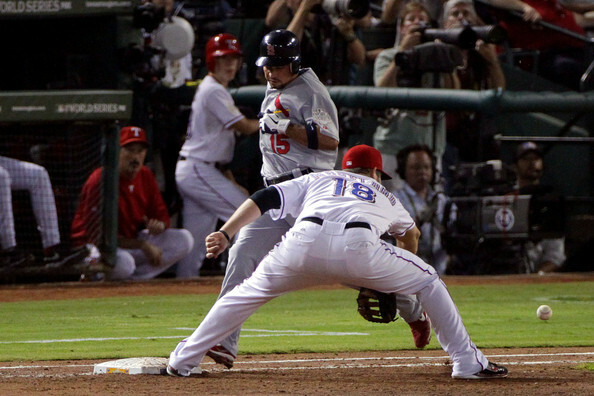 Rafael Furcal #15 of the St. Louis Cardinals is safe at first base ahead of Mitch Moreland #18 of the Texas Rangers after a throwing error by C.J. Wilson #36 in the third inning during Game Five of the MLB World Series at Rangers Ballpark in Arlington on October 24, 2011 in Arlington, Texas. Furcal went to second base on the play.